Naval Ship Management (Australia) Pty Ltd is a joint venture between Babcock Pty Ltd and UGL Limited to undertake the planning, scheduling, management and execution of preventative and corrective maintenance for naval ships and their system support facilities on the East and West Coast of Australia. 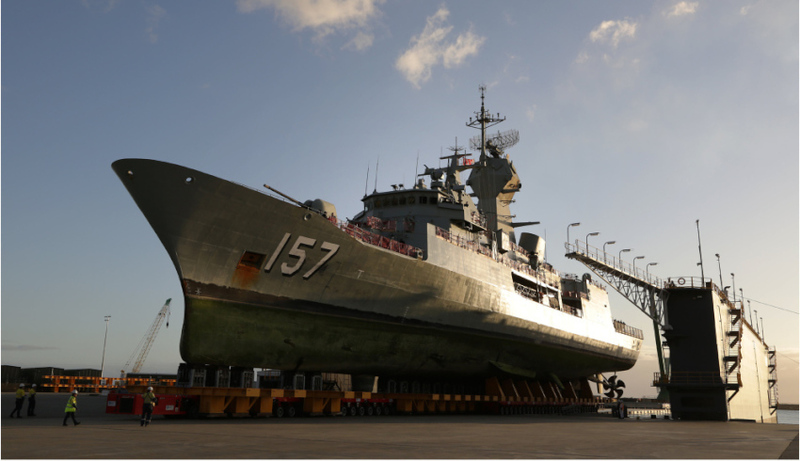 A defence multinational has broken out of the myopic view of the prime v contributing SME role in major defence projects, talking up the often forgotten role of subcontractors and supporting partners. Defence Connect spoke with Babcock Australia and New Zealand chief executive David Ruff about the company's expanding presence in Australia as a leading prime, subcontractor and teaming partner across key defence acquisition and sustainment projects. "We don't always have to be the prime," said Ruff. "Babcock is very comfortable partnering with people, sometimes being the subcontractor, so if you look at submarines in this country, we are very proud to support ASC. We would not think of doing it any other way. We have the capability to do much more but that's not how it works in Australia. We work to how it works in Australia." And as the company prepares for seven bids on Australian defence projects, including deployable health capability project JP 2060, Ruff said Babcock's expertise will be taking shape as prime, subcontractor or teaming partner in the near future as it looks to capitalise on asset management within Australian defence. "If you look at current defence initiatives, the major services provider, we're priming that and we've got some very big names supporting us in that," explained Ruff. "In that instance, we are the prime, in other instances we'll be the sub or the partner or whatever it is. We're very flexible, we're very adaptable to whatever the requirement is, but in terms of our long-term growth in the defence space in this country, it's very much around asset management. It's very much about making sure that the defence customer, air, land or sea, has the operation availability that they require to fulfil their charter with government and commonwealth and so on. That is assured and guaranteed at the most effective cost." To hear more from Babcock Australian & New Zealand's David Ruff, tune in to our exclusive podcast here.